If you're referring to the park at Disney's Wide World of Sports, you're out of your mind if you think that it would be a viable MLB park. It's literally located on Disney property, and traffic is already beyond a nightmare on I-4 around the time most fans would be getting to or leaving the stadium for games. Trust me on this one. If people avoid Tropicana Field because of traffic getting to the park, they'll do the same for one anywhere near the Disney parks. There is no chance of this ever happening in it's current status. The locals (whom attendance would be dependent on) wouldnt travel to the far southside of the area, Locals typically only go to Disney World if theyre going to the parks and nothing else. There a reason why the AA Southern League Orlando Rays broke their contract with Disney in the early 2000's to relocate to Montgomery, Alabama. 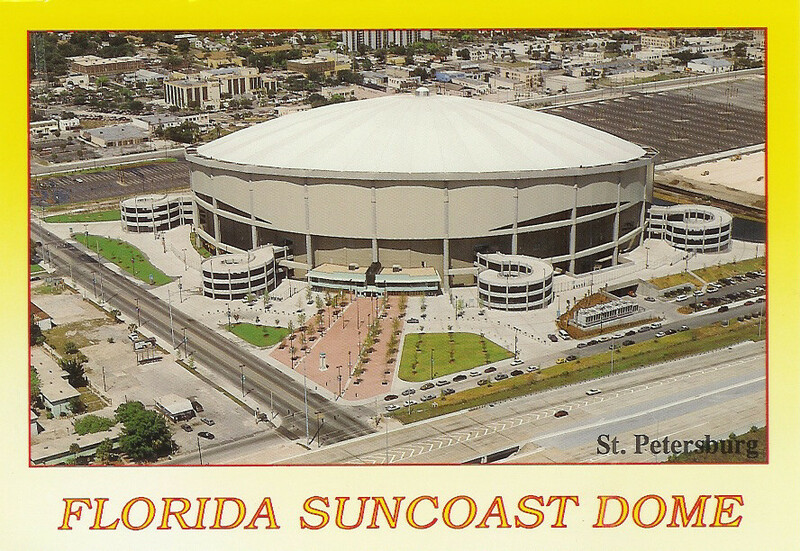 I think the Rays should play a series or two in Orlando until the Trop is replaced but I don't think a team should be there full-time. Been there, done that in 2007-08. One series was moved (I think Rangers in 07 and Blue Jays in 08) each season and attendance was sparse. The 2007 3 game set drew 26,917 total, averageing just under 9k per game. Portland Explorers has a nice ring to it; gives reference to Lewis & Clark, when their expedition ended there. Orlando doesn't work for pretty much any of the reasons you listed. Sure, Orlando has baseball history, but you could say that about nearly any city in Florida. Orlando is one of maybe four metropolitan areas in Florida that could support a pro sports team (the Magic do well enough), but there's nothing to say that they would do any better than the Tampa Bay area, less than an hour and a half away from Orlando. SunRays is fine for a minor league team, but far too gimmicky for a Major League team to be taken seriously. Devil Rays was even pushing it, and it only got by because it was the 90s. I don't want to see the Rays move out of Tampa Bay, but if they do, Orlando will just be more of the same. Miami has all of the big 4, Tampa has 3, Orlando has 1, and Jacksonville has 1 if I'm counting correctly. Outside of Miami, Tampa has positioned itself better with major sports leagues than Orlando and Jacksonville did, but I think the metro area in Florida that could support a baseball team better is Jacksonville. Jacksonville has never really been that trendy of a candidate in sports expansion and got a bit lucky with the Jaguars, and I think this has been based on size of the metro area. Leagues see Tampa with its 18th largest metro area and think it's an attractive spot with Jacksonville only being 40th largest. Orlando is 24th for what it's worth. However, the counties/suburbs next to Jacksonville have the highest household income in the state I believe. There's something to that, and I think if you could get an AL East team like the Rays in Jacksonville there would be a good deal of interest since Jacksonville is in the 95 corridor where many New Yorkers and other Northeasterners (often bigger baseball fans) have been relocating to and traveling to for ages. I always wished that the Milwaukee Brewers either moved to or affliated with a Portland team so there'd be a team called the Portland Brewers with the emphasis on coffee brewing. Coffee, not that it isn't big here, is more Seattle's thing. We're more a craft beer town. The name still works, just for a different reason. You’re certainly right about Portland being a craft beer town, but there’s also a very intimate and unique coffee scene that’s developed here as well. You might call it a “craft coffee” culture, similar to the emergence of craft beer. Portland has about 40 or so coffee roasters, with several more in the surrounding areas. - Synthesizes several suggestions from this thread i.e. Peddlers, Roasters, Lagers and Woodsmen. If the definition was stretched, the names Explorers, Pioneers, Rustics and Settlers could be said have a link to the Crafters name. - craft beer brewing and coffee brewing are simply the largest examples of a "cottage industry" that thrives throughout Portland. - carpenters would be employed to help build the proposed wooden stadium -- what is a craft if not carpentry. This is already a thing in Metro Portland. All that's left is to convince the Brewers that they should consider a short-season affiliate. I live in Southern Oregon and am one of many pushing for the Portland Diamond Project to land an MLB franchise. The name would like be the Beavers, but even I can be surpirsed. Pioneers has been mentioned as has Pines. Otherwise, our main focus is to bring the MLB to Portland. It's inevitable. our main focus is to bring the MLB to Portland. It's inevitable. That’s what we said in the 1990s when I lived in Oregon, as well. You lived in Oregon? Where? I went to UO in Eugene. And then lived in Portland for about six months before moving to LA. You? Lewis & Clark College in Portland, Class of 2016! How about the Portland Timber Jacks, colors would be forest green and black. T-Jacks for short. 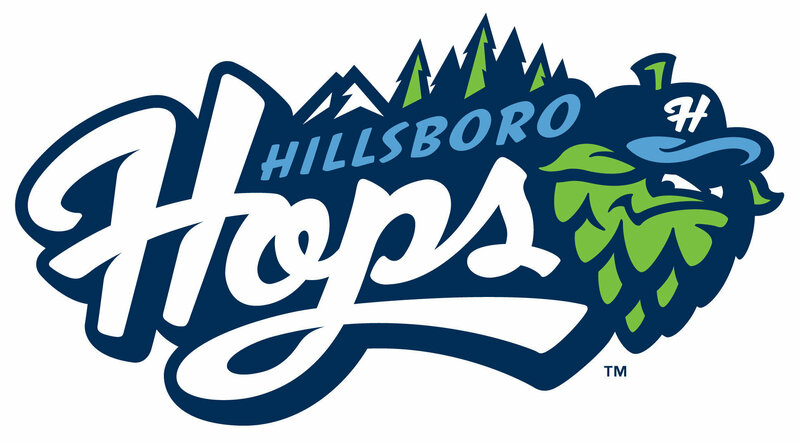 I'm also thinking the Portland Hops. As for Charlotte, I would go with the Carolina Copperheads and nothing more. Filtered through this thread. Montreal is a top candidate. Portland looks promising if there is a group of investors behind the cause. Vancouver is a growing, cosmopolitan city. There can be money found in the city if the right investors step up. If Seattle can get an NHL team and Vancouver has one, why can that not be the same in MLB? Vancouver got an NBA team when Seattle had the Sonics. NEVER build a stadium on speculation, especially if it involves public money. Stadium for Rent by Bob Andelman is a must-read for anybody interested in MLB expansion or relocation efforts. Really? You reduce Charlotte to an animal seen all over Eastern North America? You couldn't put any more thought into it? Not "promoting" the Knights identity? Not using Monarchs, as a reference to the Queen City? Not Drivers or Racers as a reference to NASCAR, whose home is in Charlotte? Not Firebirds, a reference to the beautiful statue seen in Charlotte? Not Dukes, also a reference to royalty, as well as a subtle nod to Duke Energy, a local company? No, you decided to just come up with the first "C" animal you could think of and roll with it. It really pains me to see people disregard Charlotte. The Knights lead all of Minor League Baseball in attendance, and have done so for four years in a row now, averaging 8,980 people a game, only about 2000 less than the Marlins, who play in a stadium about 26,000 seats larger and in a metro about 3.5 million people bigger. I honestly think Charlotte has the highest chance of landing an MLB team, through either relocation or expansion, especially since expansion doesn't seem to be happening for several years, giving BB&T Ballpark a chance to expire. Also, The whole "Carolina" branding is stupid and I hate that it comes up as a suggestion so often. It works for the Panthers because they do training camp in Spartanburg and football as a sport is much more regional, since getting professional teams for it can be tough. It doesn't work for the Canes because they do nothing in South Carolina except claim it as their own, and Raleigh is about 110 miles from the border, meaning it's difficult for SC citizens to get up to Raleigh for games. When Charlotte gets an MLB team, it will use "Charlotte" instead of "Carolina", I guarantee it. It's nothing personal, I just had to get some general feelings I had out. I really like the idea of the Timber Jacks, but I'm worried that it sounds too "minor-league". I was thinking that mlb would call the Charlotte team Carolina, but what do I know? What do we know? It could take years before Charlotte ever gets an mlb team. Copperheads sounds like the name they would go with. How about the Charlotte Generals or the Charlotte Troopers? I'm sure you can come up with a better name, but I have never been to Charlotte before and don't know much about the history of Charlotte. Timber Jacks does not sound too minor league to me, but Portland Remingtons comes to mind. The Remingtons is a unique name, but I don't know how much that name is associated with Oregon. The Portland Rains? Portland Pioneers? Portland Caverns? Who knows what the nickname will be for the Portland expansion team if MLB ever has a team in Portland.